The speck folding bike from Retrospeck bicycle is a single speed folding bike with a coaster brake. Retrospeck bicycle claims that the aluminum frame makes the bike up to 30% lighter than chrome or steel frames. In our test we couldn`t find a drastic weight reduction, but it was one of the lighter folding bikes compared to other steel framed bikes. 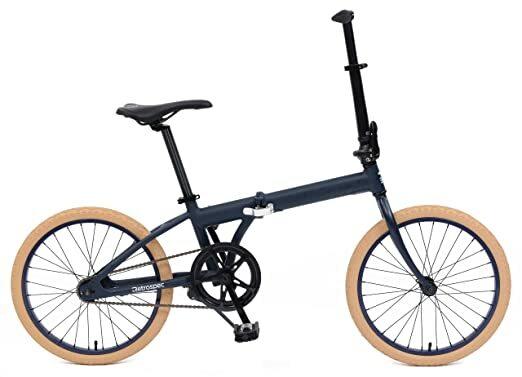 The Speck Folding bike is ideal for commuting or exercising and as it can be folded in less than 10 seconds it is basically an excellent all-rounder folding bike. Another advantage of the speck is that its 20” wheels make it a smooth ride through water grooves or when riding offside the beaten paths. The manufacturer describes the Mini Cooper Folding as a “MINI on two wheels”. It´s lightweight aluminum folding frame comes with a bicycle bag, which complements the compactness and it`s easiness to fold perfectly. The Mini Cooper Folding has an eight-speed shift system, which make it an excellent companion when riding on step highways. 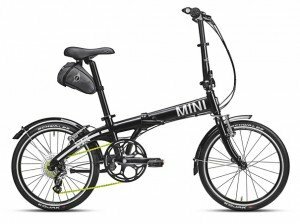 As we notes before that aluminum does not rust, the chain of the MINI Cooper Folding Bike is coated with a Teflon protection and will therefore have a longer life than standard chains. 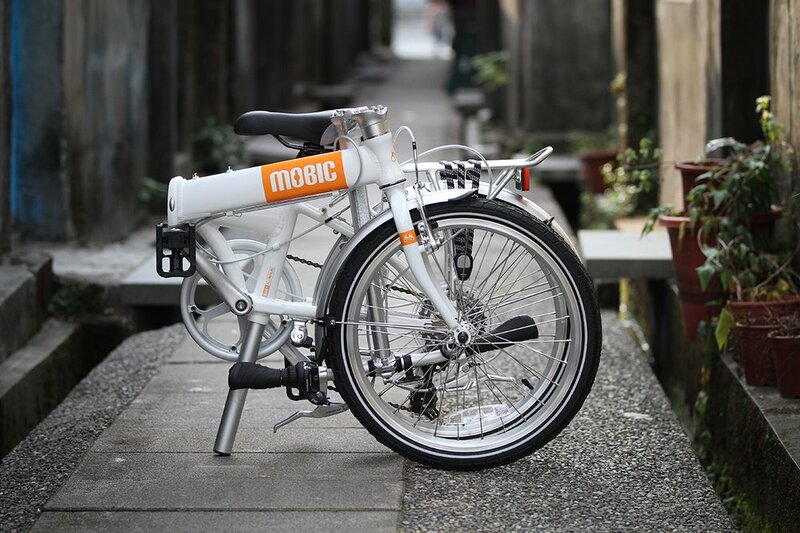 The Life X7 from MOBIC bike has a strong and lightweight aluminum frame. When ordered the bike comes with wheels, a seatpost, stem and handlebars. We did not had to assemble the bike and after checking the screws, which were properly bolted, we could start riding right away. The Life X7 comes also with a free carry bag, which is valued from the supplier with $49.99. With its click-n-lock technology the bike could be folded in 10 seconds in our test. A second securing mechanism fixes the locked in bike. The Life X7 is specifically designed for commuters and its ergonomic saddle and grips is perfect for riding to school or to work. 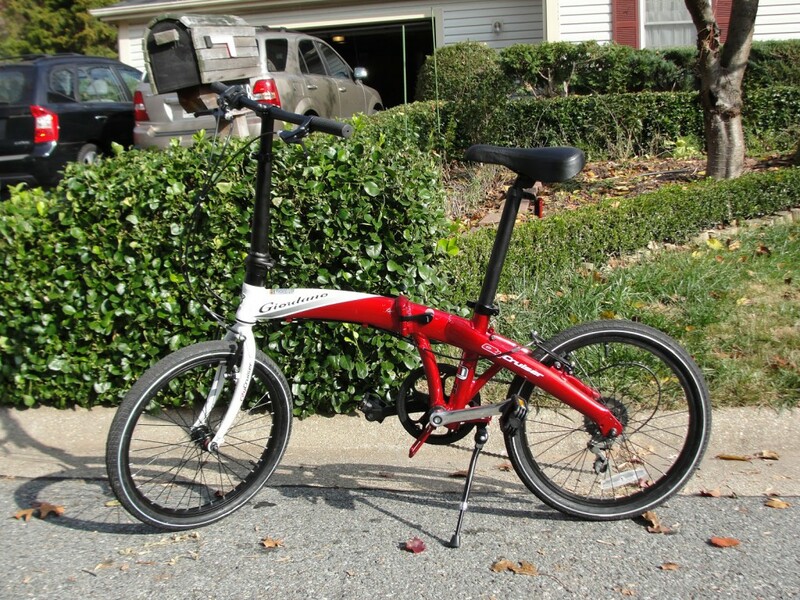 The Giordano Folding Bike is the cheapest folding bike in our series. It comes in Red and White and has 20” wheels. Furthermore, it also comes with 6 Speeds. All in all the bike weights 25lbs and its frame is much lighter. In our test the Giordano Folding Bike felt much more comfortable when carrying the bike than the other folding bikes. 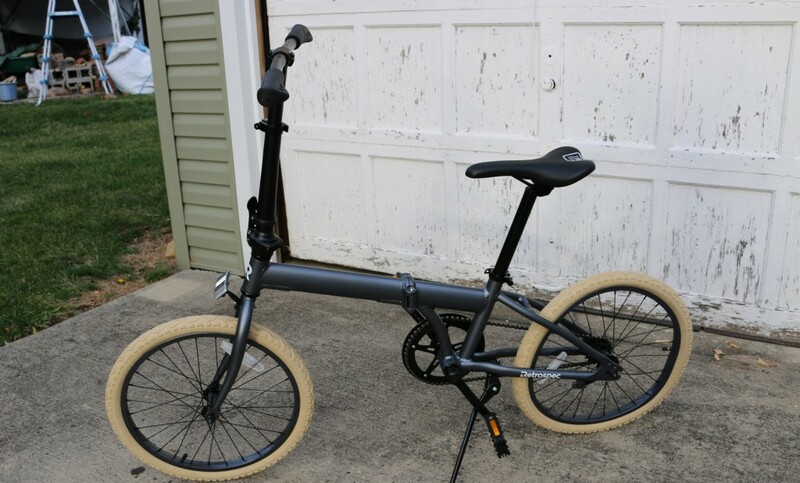 The Giordano folding bike does not come with extras such as a bike bag, but the overall package compared to the price makes it an attractive buy. Speck Folding Single-Speed Bicycle. By comparing price to actual value, we highly can recommend this bicycle. Furthermore, its lightweight aluminium frame and its other accessorizes such as the single speed derailleur complement the bike perfect. Finally, you can find a summary of all our tested aluminum folding bikes. Retrospec Bicycles Speck Folding Single-Speed Bicycle 22 pound / around 9.9 kg $$ 9,8 Checkout 58 reviews on Amazon. 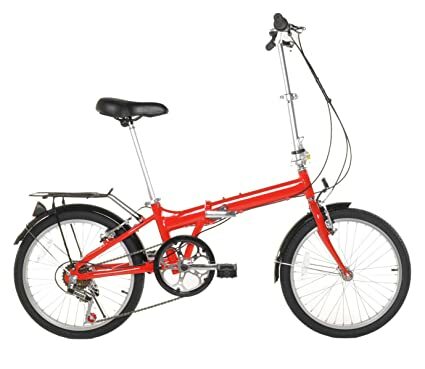 20" Giordano Folding Bike (20-Inch Wheels) 22 pound / around 9.9 kg $ 8,1 Checkout 35 reviews on Amazon. 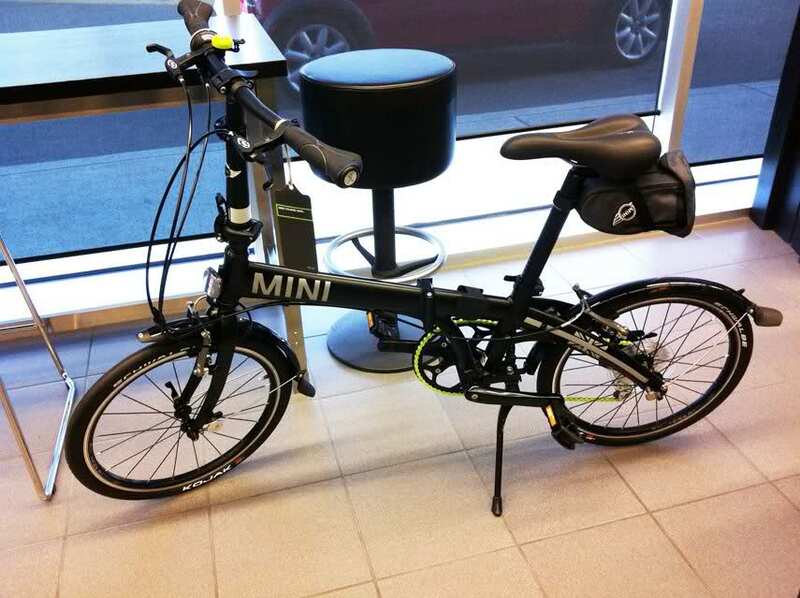 MINI Cooper Folding Bike 24 pound / around 10 kg $$$ 9,1 Checkout 9 reviews on Amazon. 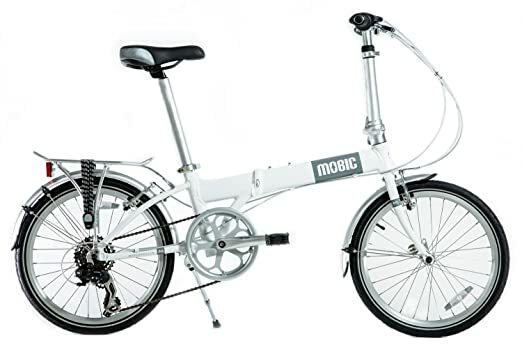 MOBIC Life X7 Folding Bike - Strong Lightweight Aluminum Frame 21 pound / around 9.5 kg $$ 9,3 Checkout 8 reviews on Amazon. Previous story This Bicycle Road Is Covered Completely With Solar Panels. But Was This Really A Good Idea?